Like several other games writers, I've spent a huge chunk of time with a sizable percentage of Final Fantasy XV. Like many other writers, I came away impressed with what the FFXV team has accomplished, especially in light of the game's troubled and protracted development. And, like many other writers, I recognize that things could still go terribly awry in the back half of the game. Those fears have been fueled in part by director Hajime Tabata's own admission that the game becomes much more linear toward the end than the wide-open sandbox seen in the early going. But surely he just means the plot becomes more focused, some fans insisted, hopefully. 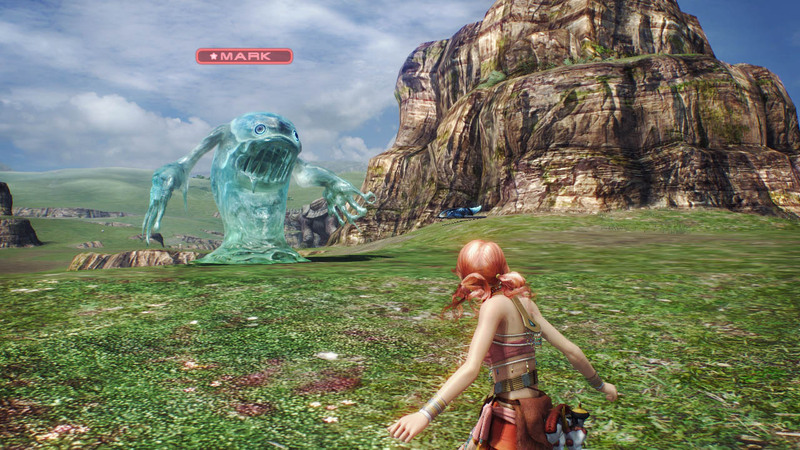 Surely the game doesn't become truly a linear, Final Fantasy XIII-like experience toward the end! Now, a more extensive hands-on preview has emerged from EDGE magazine; being a long-lead publication, they were granted access to a more complete build of the game than online press has seen so far. And the word from EDGE is... well, minor spoilers for the latter portions of FFXV ahead. Turn back now if such things alarm you. Take heed and go no further! Alright then. According to EDGE, Final Fantasy XV actually does become almost entirely linear in its final chapters. The story evidently undergoes a time jump — a development depicted in the opening cinema of the game, so not that big a surprise — and from that point, players are more or less locked into a corridor-based journey to the finale. While it's possible to return to the open portions of the game to complete quests and the like, doing so requires the use of a narrative device that keeps the story's past hermetically sealed from its future. Oh no! It's Final Fantasy XIII all over again! Or not. This has caused no end of hand-wringing among the FFXV faithful, a sense of despair or resentment that the whole thing is a lie and that the extensive media previews about the open-world portions are just a smokescreen to hide that fact that, deep down, it really is just FFXIII all over again. I can certainly understand where they're coming from, but having spent so much time with the opening chapters of the game, I have trouble sharing their sense of doom. For starters, there's a pretty significant difference between FFXV and its partner in Fabula Nova Crystallis crime. FFXIII was entirely linear; so many Final Fantasy fans hate it because it never gave them anything to do but walk straight ahead and fight bad guys. Aside from a single "open" portion of the game that consisted of a large empty space where you could fight monsters ad nauseum, FFXIII more or less gave you a long, gorgeous tube full of random encounters and constant cut scenes to walk down, and that was it. There was little room for deviation, little opportunity for customization, little need for player agency. FFXV, on the other hand, features plenty of all that in its first five chapters — and possibly beyond. Based on my own experience, the open-world portions of the game could easily fill 40 hours of play time at the least; I explored less than half of the world map in nearly 16 hours of wandering. I probably could have used more of the game's limited fast travel option, which forces you to stick to the main roads and way points, but half the pleasure for me came in venturing away from the major traffic arteries to see what else lay in the lands of Liede and Duscae. And even within the regions I explored, I stepped away from the preview with a great many hunts and side quests incomplete — I probably only managed to conquer a third of the hunts I saw listed, as most were grossly over-leveled for my team and usually required a higher hunter ranking (meaning I hadn't completed enough prerequisites to accept those hunts in the first place). I don't know precisely how much more the remainder of the world has to offer, but assuming you really get into the free-roaming aspect of things, it's not hard to imagine 60-80 of open-world wandering. In that light, I don't think I could bring myself to feel too put out about 10-15 hours (or however much) of more linear design. 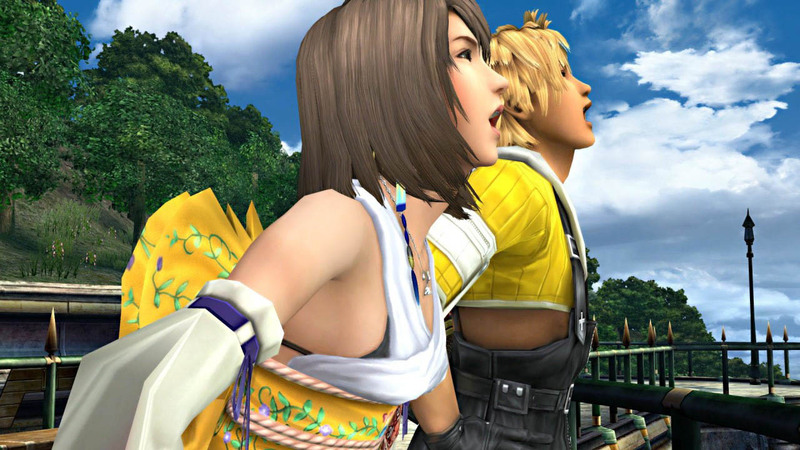 Tidus and Yuna laugh at the notion that linear design is inherently bad. HA HA HA! HA HA HA! HA HA HA! HA HA HA! Besides, linear game design isn't some inherently terrible thing. Final Fantasy has seen plenty of linear design through the years. Final Fantasy IV, the first properly story-based game in the series, features almost entirely linear progression. That's not a coincidence; freedom of play and focused narrative design exist largely in competition with one another, and while they can live in the same space, that's a tall order. It's a whole lot easier for game developers to lock down the player's movements when they need to tell their story, and indeed the sandbox portions of FFXV tend to be extremely thin on narrative. Fan favorite Final Fantasy X was nearly as much a journey down beautiful corridors as FFXIII. And it was a great game. The real question is, how much does this linear journey allow players to do? FFX featured richly designed villages, sports mini games, puzzle-block temples to solve, and more. FFXIII didn't offer much besides watching a story unfold. People like FFX a whole lot more than they do FFXIII. Will FFXV's linear portions be like FFX, or like FFXIII? And even if they do end up working more like FFXIII's, will that outweigh and negate the dozens of hours of free-form play that come before it? At worst, I feel like the portions of the game could sit at odds with one another. And even then, that's not really some new scenario for Final Fantasy. On the contrary, the franchise has a long and storied history of radically changing up the flow of a game in its second half. 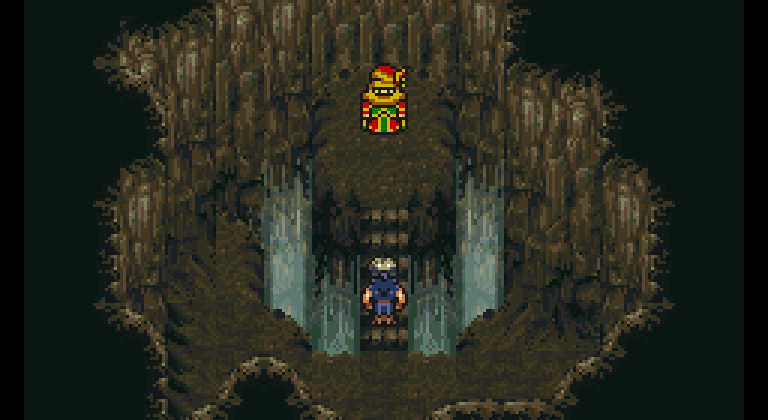 This is probably best embodied by Final Fantasy VI, in which the first half of the adventure consists of an almost entirely linear, narrative-driven journey; once the apocalypse hits, however, the remainder of the game is almost entirely open and (aside from a handful of mandatory requirements for advancement) plays out entirely at the player's discretion. Of course, going from closed to open like this would seem to be the exact opposite of what FFXV does, but even that's not alien to Final Fantasy. Consider Final Fantasy VIII on PlayStation, whose fourth and final disc of the game locks players into a single location and forces them to rebuild their capabilities from the ground up. The structure of Final Fantasy VI changed radically in its second half. FFXV simply appears to invert that, putting all the weird, freeform stuff up front. In other words, nothing of this early report about FFXV sounds particularly out of step with the concept of Final Fantasy. While there's certainly no guarantee the game will be able to pull off such a radical transition with grace, neither is it by any means a guaranteed disaster. I'm looking forward to seeing how it turns out myself once the game arrives at the end of the month, and I won't lie — I'm hoping for the best. I think most of us could use an improbable success these days. Tagged with Action Adventure,	PlayStation 4,	Previews,	Role Playing Games,	Square Enix,	Xbox One.